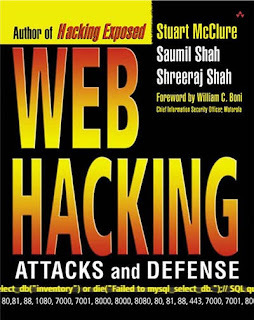 the book gives you information about how Web hacking occurs and teaches you enhanced skill at developing defenses against such Web attacks. Technologies covered in the book include Web languages and protocols, Web and database servers, payment systems and shopping carts, and critical vulnerabilities associated with URLs. This book is a virtual battle plan that will help you identify and eliminate threats that could take your Web site off line. Whether it's petty defacing or full-scale cyber robbery, hackers are moving to the Web along with everyone else. Organizations using Web-based business applications are increasingly at risk. 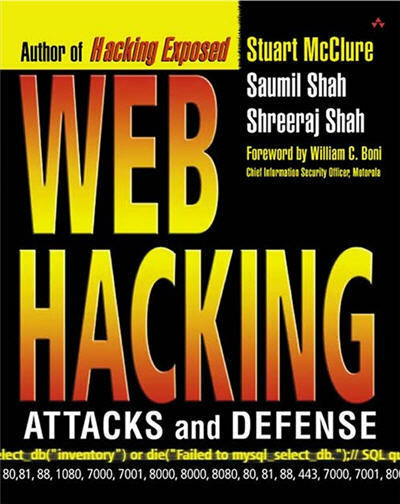 Web Hacking: Attacks and Defense is a powerful guide to the latest information on Web attacks and defense. Security experts Stuart McClure (lead author of Hacking Exposed), Saumil Shah, and Shreeraj Shah present a broad range of Web attacks and defense.